And that is a very GOOD kind of SICK! 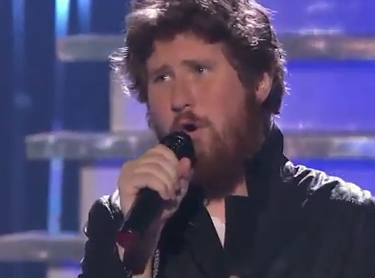 Casey Abrams is definitely on the top of my list and last night on American Idol he was ridiculous. I was blown away. Singing With a Little Help From My Friends, everyone was in awe. His character is so lovable… HUGE career ahead. Guaranteed. UPDATE: We just wanted to throw a note in here. When we posted this story yesterday morning, we had no idea that Casey was actually IN the hospital, receiving blood transfusions. He is doing better now and we should be seeing him back in action next week. His performance is still SICK! We love you Casey! Get well soon!